Whether you’re looking for Christmas presents, birthday presents, or presents for graduation or retirement, it’s hard to know what you’re supposed to be looking for. If you have a hunter or angler in your life, then you might need some help finding that perfect present. This list of 25 presents should give you a place to start when it comes to finding them a great present for any occasion. There are a variety of prices here so you can find something to fit almost every budget out there. This is one the cheaper presents, but it’s incredibly useful for anyone that’s out when it’s dark. Whether they’re staying out to catch fish or getting up early to find the deer right away, this light will be able to help you see in the dark. 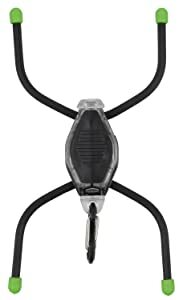 With its legs able to wrap around things, this handy light will go just about anywhere. This is an expensive present for the dedicated hunter in your life. Being able to see what they’re aiming for is part of being able to hunt well. You’ll want to make sure that this works with their rifle, but if it does, then they’re going to have a great present to look forward to. If your loved one spends a lot of time near the water, you might want to give them the chance to try something new. 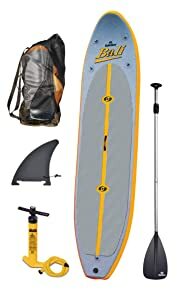 Paddleboarding is a great way to have fun out on the water on the days when they can’t fish. This will give the chance to stay near the water when their favorite fish are out of season. On water or on land, it’s always important to stay in contact with friends. Most people go out on trips with someone else with them. 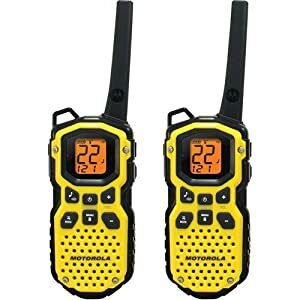 These radios will make sure that they’re always in contact, even if they split up. 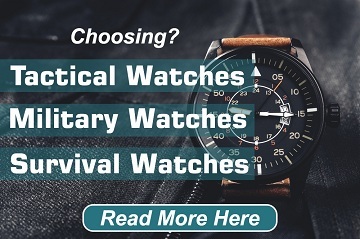 The best part is that they are waterproof which means you won’t have to worry about the weather or if they get dropped in a river while they’re out and about. This handy tool is useful for not only campers but hunters and fishermen. When you’re out and away from civilization, you might need some hot water and a chance to charge your phone. 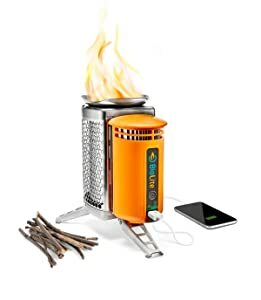 Regardless of why they might need it, something like this can be great to have on a trip out into the woods or near the river. It’s even better if they turn their hunting or fishing trips into camping trips as well. This mug might go well with the last item on this list. 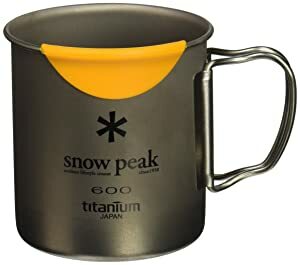 This mug makes it super easy for someone to heat up water, make coffee (or cocoa or tea or any other hot beverage), and drink it without having to wait for the cup to cool down that much. It can make a great addition to any gear that your loved one might already have. 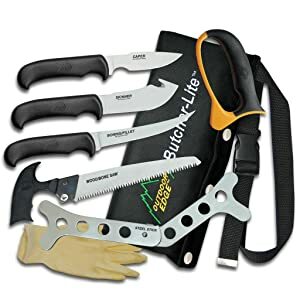 While we’re on the subject of camping gear, this set might also be perfect. There’s a lot of good that this set can do for you. It’s compact and easy to use so that there’s less gear that people have to haul out to the camping space. 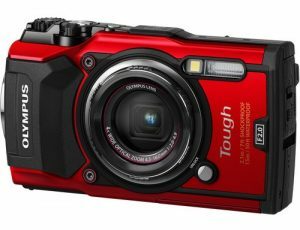 This is another pricey item, but it’s also great for those that want to take tons of interesting pictures while they’re out in nature. The best part of this camera is how sturdy it is. It is built to survive the wilderness so that anyone can get their photos back home. When hunters are out in the field, they sometimes need to deal with their game right then and there. This kit is meant to help someone work out in the field when they need to. There’s still some learning that they might have to do, but this kit is meant to help get the best end results. 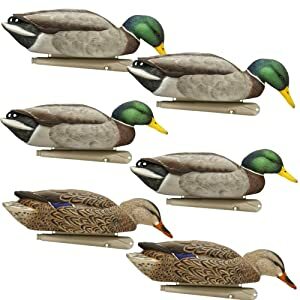 Most hunters need duck decoys. This pack will give your loved one quite the spread of ducks in a variety of poses. This means that there will be a couple of extra choices to use when setting them up. Whether they’re going out hunting or fishing, they’re likely to be out in various temperatures. This makes a base layer very important. It can be the extra layer that keeps them comfortable. A nice base layer can be an especially great gift, especially if it’s getting into the fall and winter months. Regardless of what they’re filling it with, a good cooler is never a bad gift. 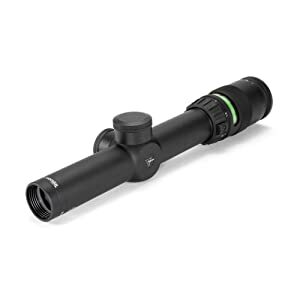 This particular one can work for camping, hunting, or fishing trips. 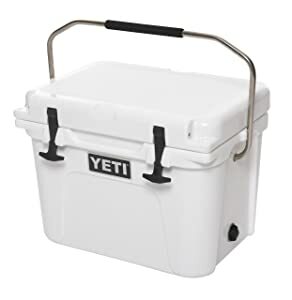 The cooler is bear-proof as well which makes it especially nice if you’re a ways away from society. If you live in an area with a lot of snow and water, then this can really be a helpful tool to have around. This kind of dryer will help ensure that gear stays good longer by getting rid of moisture as well as bacteria. The best part is that it can work with other gear like helmets and glove by getting small pieces to go with it. This dryer may just become their favorite household item. 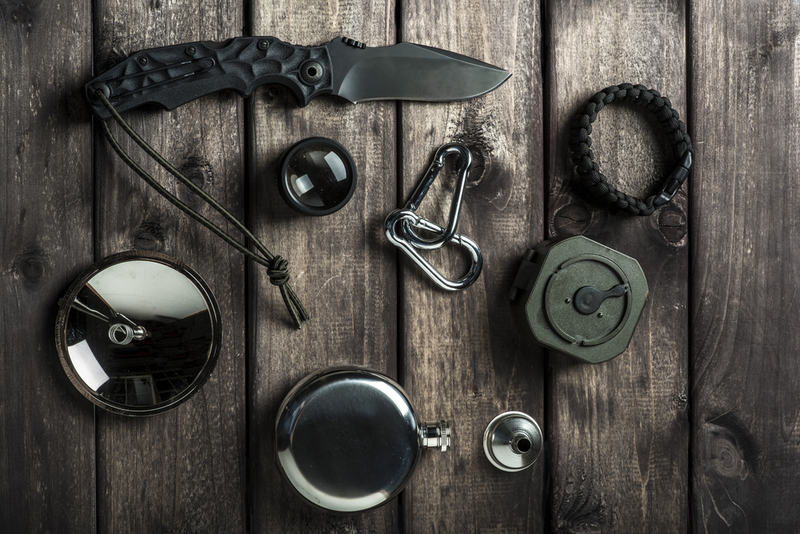 While you may be thinking that this gear is specifically for just hunting gear and tools, don’t be fooled. This set will be able to help with lawn and gardening equipment as well. That’s why this set might be the best. 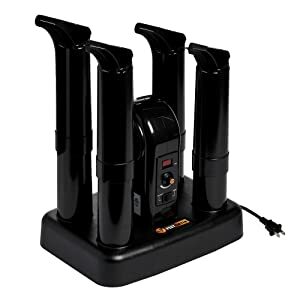 It’ll be able to help with fishing and hunting gear that needs to be sharpened, but it will also be able to help them out around the house. A trigger stick can be a great gift for someone that’s out hunting. It helps make sure that they’re not having to hold the gun perfectly still. This can be a helpful addition to their gear. This can also be used for binoculars, cameras, and more. So don’t be afraid to get this for someone that’s out in the wilderness a lot. This is another great base layer that you can get for a loved one. This one is particularly nice because of the pattern. 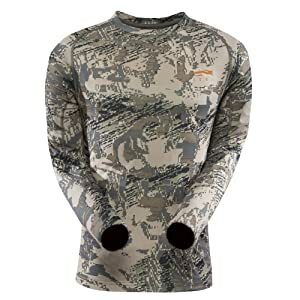 This one will help hunters most of all, but it can also be a great option for anyone that needs a base layer to keep someone warm. This is a present that is perfect for almost anyone. 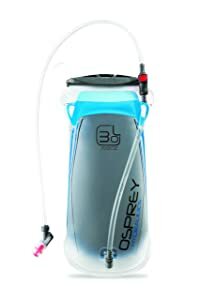 The Osprey water reservoir is well built and works with a bunch of different packs which is why it will work well for people that are carrying gear with them. It won’t add a bunch of bulk while allowing them to carry plenty of water. 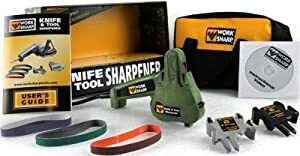 This piece of gear will work great for people that are out in the early hours of the morning or late at night and don’t want to have a flashlight out and scare away anything. This tool will allow them to really be able to see white well in that early morning light. Besides base layers, your hunter or angler may need something that will provide some protection. 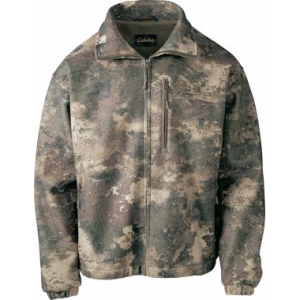 Jackets like this one allow them to stay comfortable, even when the weather is working against them. It has a lining that will make sure that they are well protected from the wind that might buffet them while they’re out. 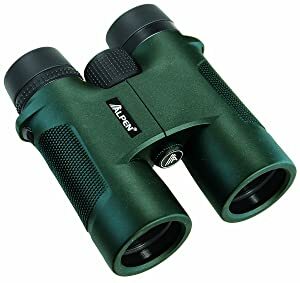 A good set of binoculars can help hunters spot game. But they can also help anyone when they want to see what kind of bird is soaring overhead. 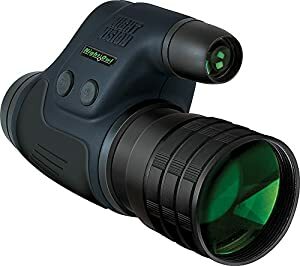 This piece of gear is waterproof as well which makes it great for fishermen that want to be able to look into the distance and see what’s going around on the shores near them. 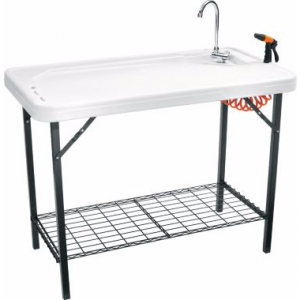 This table can work for hunters that get waterfowl and other birds, but it works well for fish when it’s the wrong time of year for waterfowl. This table connects to a hose and folds down easily. This means that this can be set up outside and keep the mess away from the inside of their house. This tool can work well with the cleaning station. This knife is built to quickly and easily fillet fish. With this tool, you will be able to cut through tons of fish and have your fish ready to cook or store. This tool will come in handy for any anglers you are getting a gift for. 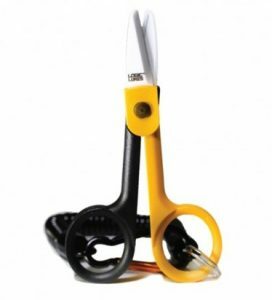 These scissors are able to cut through most lines. The design also means that you aren’t going to get hurt when using this knife. This makes it perfect for all ages. Saving space is always a great thing. 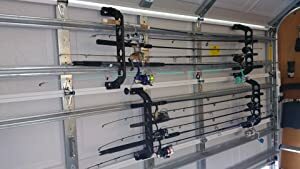 When it comes to fishing equipment, the more dedicated anglers might have more gear than they have space for. This is a way to help them out. You attach this to the garage door and then you can store some of the gear in a space where it won’t be in the way whether the garage door is up or down. This is another great piece of gear for anyone that’s out during cold times of days or during cold times of the year. 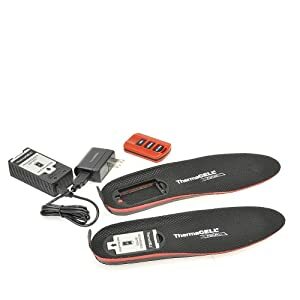 This little thing can really keep their feet warm when the weather is trying to work against them. Now you’ve got 25 present ideas to use the next time that you see the angler or hunter in your life. Hopefully, one of these will fit what you need. If you’re not sure what to get, then maybe go to them and ask about they already have and what they’re missing from their gear. That can help you narrow down the choices from this list. These are great ideas! I need as many ideas as possible for my dad. He is big into hunting. I love the buglit light! That’s so clever and handy. I can’t believe it actually wraps around thing! So many good ideas, thanks for the article!